The Cypriot Government recently amended the Scheme for Naturalisation of Investors in Cyprus by Exception. This freshly amended Scheme provides that a citizenship-by-investment program grants full Cypriot citizenship to those that invest more than EUR 2 million and who meet certain other requirements. Based on the revised conditions, investments can be made in Governmental bonds, Cypriot businesses and organizations, financial assets of Cypriot businesses and organizations, immovable property and infrastructure projects in Cyprus or a combination of the above. Citizenship is granted after 3 – 6 months once the application is approved. This fast process makes Cyprus one of the most preferable destinations to obtain a second citizenship. is also worth noting that the Cypriot citizenship is awarded directly following the approval of the investment and without the requirement for any language proficiency test. The applicant must have an investment of at least €2,0 million for the purchase or construction of buildings or for the construction of land development projects (residential/commercial/ tourism sector developments) or infrastructure projects, excluding investment in land situated in a zero building zone. The applicant must have an investment of at least €2,0 million in companies/organizations established and operating in Cyprus. The invested funds must be channelled towards the financing of investment objectives exclusively in Cyprus, based on a specific investment plan. The concerned companies/organizations must have proven physical presence in Cyprus, with significant activity and turnover and employ at least 5 Cypriot or EU citizens (the minimum number will increase if more than one applicant invest simultaneously in the same business). In addition, the employees of the companies must have legally and continuously resided in Cyprus during the 5 years preceding the application submission date. The applicant must have bought units of at least €2,0 million from alternative investment funds (AIF) established in Cyprus, licensed and supervised by the CySec and whose investments are made exclusively in Cyprus. WHY OBTAIN A CYPRUS CITIZENSHIP? 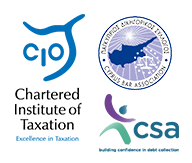 A person who is a Cypriot citizen may travel without any restrictions, within the European Union, and enjoy almost all rights and privileges of a European citizen, such as the right to reside, work, do business and study within the EU, while enjoying equal treatment with nationals in access to employment, working conditions and all other social and tax advantages..
By obtaining Cyprus citizenship and passport one does not automatically become tax resident of Cyprus, unless he spends more than 183 days in the country in one calendar year. The Cypriot personal regime, through the 2015 introduction of the “non-domicile” concept, is now widely considered as the most attractive onshore personal income tax regime in the world. Cyprus offers a great place to live, offers excellent worldwide communications, has excellent infrastructure, and a pleasant climate. You can Obtain Cyprus citizenship approval in three months through a fast-track application process. Consult on the requirements of the application process. Advise on questions / issues that need to be clarified. Assist in drafting relevant required documents. Continuous review of the application documentation to ensure required quality standards. Submit the complete application to the authorities on client’s behalf. Monitor the status of the review by the authorities and debrief the client. Act as a liaison with authorities during the examination of the application.